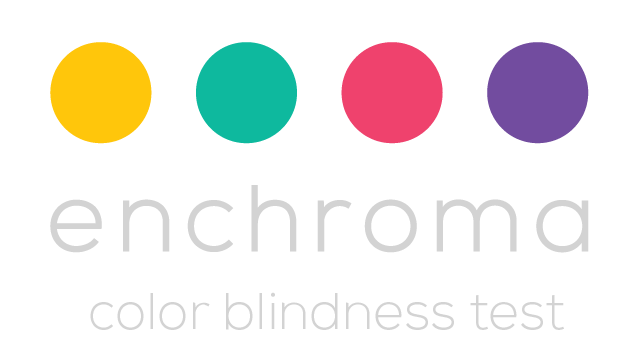 EnChroma color blindness glasses can have a profound impact on how people see their world. Our eye care professionals can help you try on a pair. To find out if EnChroma glasses can help with your color vision deficiency, come in for an appointment and receive a personal assessment. Not only the glasses work letting me see colors and differences I had never seen before, but they also look classy and cool. After one day I am already looking into buying indoor glasses so that I can wear them all the time. Color blindness (colour blindness), also called color vision deficiency (CVD), encompasses a range of causes and conditions and is actually quite complex. Usually when people talk about color blindness, they are referring to the most common forms of red-green color blindness, which are genetic conditions, inherited by men and women, caused by a recessive gene on the X-chromosome. There are three photoreceptors in the human retina sensitive to colors whose chemical reaction and then electrical signal become interpreted as colors. The three cones are named as the S, M and L cones because they are sensitive to the short (S), medium (M) and long (L) wavelengths that are visible to the human eye. These cones are often named blue, green and red cones because they roughly correlate to blue, green and red wavelengths. Red-green color blindness can be broken down into two main types: Protan (“pro-tan”), which is an anomaly of the “L” cones, mainly responsible for seeing red colors. And Deutan (“do-tan”), which is an anomaly of the “M” cone type mainly responsible for seeing green colors. This anomaly has quite a range, from just a mild change or shift in red or green sensitivity called Protanomaly or Deuteranomaly, to the complete absence of one of the cone photopigments, called Protanopia or Deuteranopia. There are also other kinds of color blindness. For example, blue-yellow color blindness, called Tritanomaly/Tritanopia, and conditions called achromatopsia and monochromacy. Depending on the condition, some can be acquired genetically or can be acquired later in life the result of disease, trauma or even from some drugs. If you are unsure about what type of color vision deficiency you have, a complete diagnosis can be performed by a qualified optometrist, ophthalmologist, or color vision scientist using special tests. For comparison, people with typical color vision can see about 1 to 7 million distinct colors. Those with color blindness see only about 10% of those colors. Tritanomaly, causing reduced blue sensitivity and Tritanopia, resulting in no blue sensitivity, can be inherited or acquired; the inherited form is a rare autosomal recessive condition. More commonly, tritanomaly is acquired later in life due to age-related or environmental factors. Cataracts, glaucoma and age related macular degeneration could cause someone to test as a Tritan. People with tritanomaly have reduced sensitivity in their blue “S” cone cells, which can cause confusion between blue versus green and red from purple. If you believe you have tritanomaly, we recommend you consult with an eye care professional for a complete vision assessment. Our EnChroma Color Blind Test is specifically designed to determine your type of red-green color blindness (deutan or protan) and level, whether mild deutan or protan, moderate deutan or protan, or strong deutan or protan. The color vision test is not a substitute for a complete eye exam. However, the test is fast, reliable and can provide valuable information on whether or not EnChroma lenses are right for you. 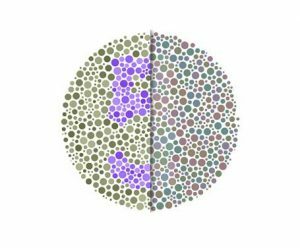 If you have color blindness, the EnChroma test can tell you if your color vision deficiency is mild, moderate, or strong - in less than two minutes. Part optics, part neuroscience, EnChroma® glasses unlock a new world of color for people with color blindness. Our glasses are designed to make you look good, too, so better color vision can be a seamless part of your everyday routine. The EnChroma lens technology is based on over a decade of research effort to understand the causes of color blindness and how to engineer an optical technology platform to address the problem. The structure of the eye projects light and images onto the retina, where a dense matrix of approximately 6 million retinal cone cells turn that picture into neural signals transmitted up to the visual cortex. Each cell is ‘color specific,’ responding mainly to light of specific frequencies. The three different types of cone cells correspond to the three primary colors of light: red, green and blue. The eye responds to light, but vision is formed in the brain. The visual cortex must process a vast amount of information to decipher where objects appear and their properties such as motion, shape and color. The ability to see color is an important part of being able to see objects in situations where they are not clearly set apart from the background, such as oranges in a tree. In modern life we are also faced with the need to interpret color-coded information such as signs and lights. These are just a couple of examples of how color vision helps us to see and understand the world. The underlying cause of most color vision deficiencies is due to the red and green-sensitive retinal cone cells having an overlapping response to light. Instead of responding separately to each wavelength of light, their response is highly similar. To compensate for the overlap, the EnChroma lens contains proprietary optical materials that selectively remove particular wavelengths of light exactly where the overlap is occurring. 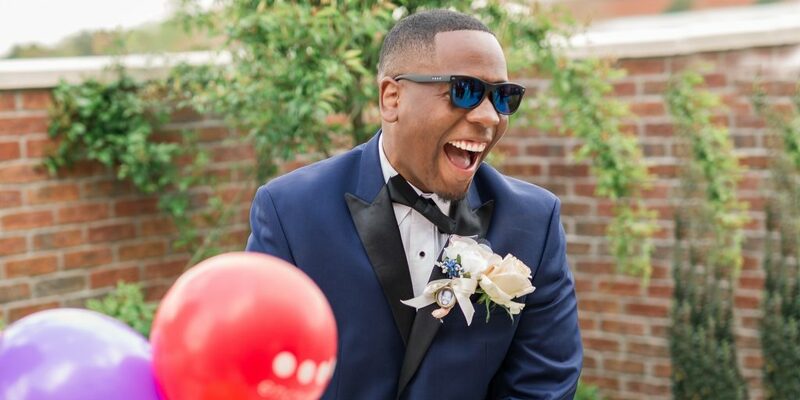 The best way to find out if EnChroma glasses can help is to see for yourself!